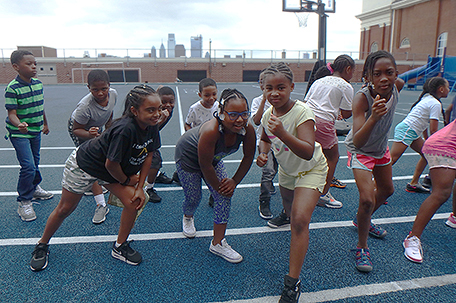 ABOVE PHOTO: Youngest Scholars students work towards their goal of running or walking a 5K on the rooftop track at Gesu School. Youngest Scholars students create their own healthy snack recipe to share with classmates and Gesu staff. 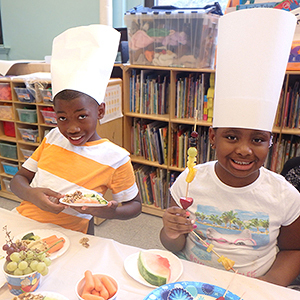 These creative chefs made fruit kabobs, Greek yogurt parfaits, and “breakfast sushi” with bananas, peanut butter, and rice. 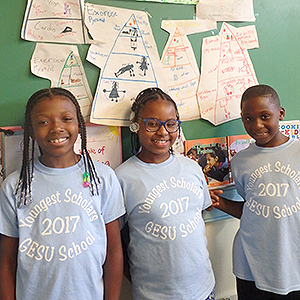 After five fun, focused weeks, Gesu School’s annual Youngest Scholars summer program has come to an end. 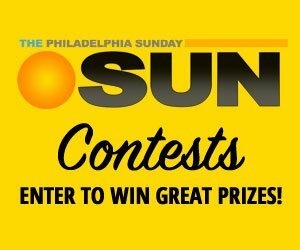 As Philadelphia’s first independent Catholic elementary school, Gesu has led the way in providing innovative programs, such as Youngest Scholars, to educate and empower some of Philadelphia’s most disadvantaged youth. Made possible through funding by the Clare Foundation, this demanding program focuses primarily on literacy and communication, engaging Gesu’s top performing students, grades 3-5, in academic challenges that will continue throughout the school year. Theme-based learning objectives, tasks and essential questions – coupled with teacher facilitation and self-inquiry – worked to deepen each student’s quest for learning. Rising 4th graders learn about the skeletal system through an art project. “Youngest Scholars provides a rigorous, hands-on learning approach that allows our highest achievers to learn collaboratively in a small class setting, while completing multi-step tasks and projects that require higher-order thinking,” said Colleen Comey, Youngest Scholars executive director. Rising 4th graders create exercise pyramids and learn the important role exercise plays in a healthy respiratory system. 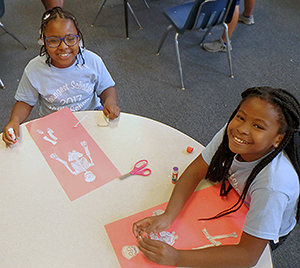 Students participated in team-building activities, created and performed health-themed skits, and even completed self-assessments of their progress and development throughout the program. These activities, as well as many others, positively impacted students by helping build the confidence, excitement, preparedness, and academic skills necessary to become life-long learners. Furthermore, Youngest Scholars helps prevent the well-documented summer learning loss experienced by children from low-income families. Following weeks of hard work and focused learning, the program concluded with a one-mile run as students put their newfound health and wellness expertise to the test. For more information about Gesu School and their Youngest Scholars program, visit www.GesuSchool.org.